The biggest boat event of the year in San Diego! Oh my, oh my, oh my gooooodness! We are so excited we are beside ourselves! The biggest event of the year in San Diego is on the horizon. Just pick up your spyglass and point it to the west and you will see the masts of a fleet of tall ships rising in the distance, soon to arrive at the Big Bay! YES, the Festival of Sail is coming this Labor Day Weekend. 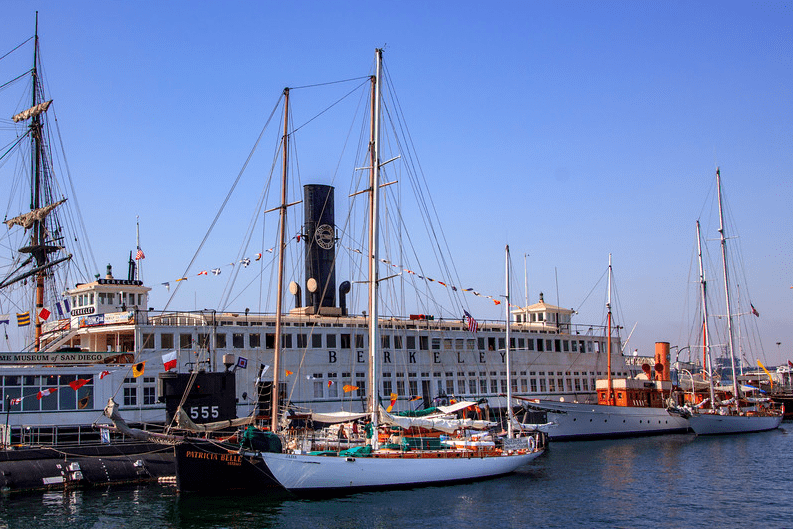 Check out the website here Maritime Museum to see the best place to be Labor Day weekend in San Diego. The Parade of Tall Ships happens on Thursday August 31 from 11 til 3pm. There are locations all around the bay to view the Parade of Tall Ships from the shore, but we all know that the very best seats are on board JADA, as she takes her place in the parade. So join us for the parade of a lifetime as we open the big event. Call now as we always sell out for this event. Snacks and drinks are provided, just come prepared to have a grand time. 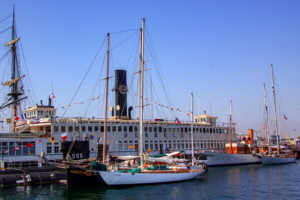 Bring your friends and family for the very best view in the world of our own San Diego Tall ships, our famous visiting ships and the highly anticipated San Salvador. Oh, and plan to stop by and say hello to JADA, her crew and our exceptional family of friends and JADA Alumnae. 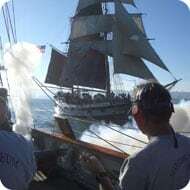 We will be open daily for tours and will sail each day on the bay for the cannon battles and the twilight sails. Visit Don Telford’s Photography site for more images of this year’s Tall Ship Festival. Come see all the tall sail boats of old!